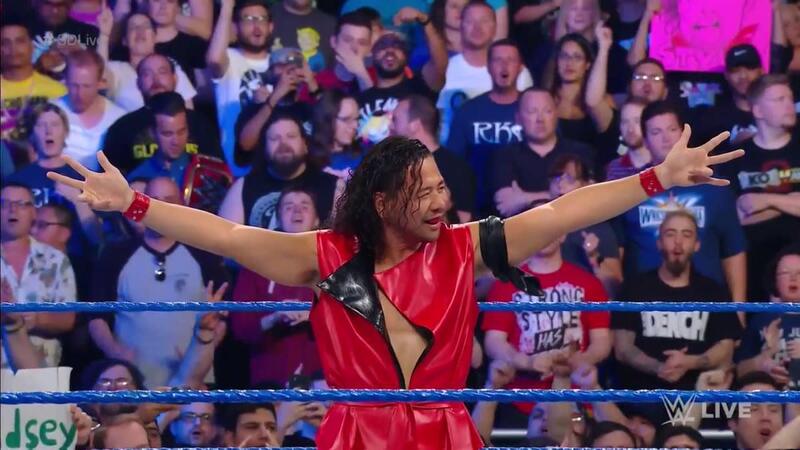 Shinsuke Nakamura has finally arrived on the WWE main roster. Nakamura debuted on SmackDown tonight following a segment where The Miz and Maryse were mocking John Cena and Nikki Bella. As they were leaving the ring, a violinist made his way out and Nakamura's music hit. Nakamura got a big reaction and the crowd chanted his name when his music ended. He posed in the ring and left without saying a word. It was expected that Nakamura would make his way to Raw or SmackDown soon after losing clean to Bobby Roode in the main event of NXT TakeOver: Orlando last Saturday. Nakamura was a two-time NXT Champion while part of the brand, first beating Samoa Joe for the title in Brooklyn last August and then regaining it in his home country at a show in Osaka in December. Nakamura lost the championship for the final time against Roode at TakeOver: San Antonio in January before their rematch on Saturday. Anticipation for Nakamura's main roster debut began as soon as news broke that he would be signing with WWE in January 2016, but he lasted in NXT for a full year after debuting in Dallas over WrestleMania 32 weekend. Nakamura came over to WWE from New Japan Pro Wrestling with AJ Styles, Karl Anderson, and Luke Gallows. While he was there, he was one of the promotion's biggest stars and developed a reputation as being maybe the most charismatic wrestler in the world.